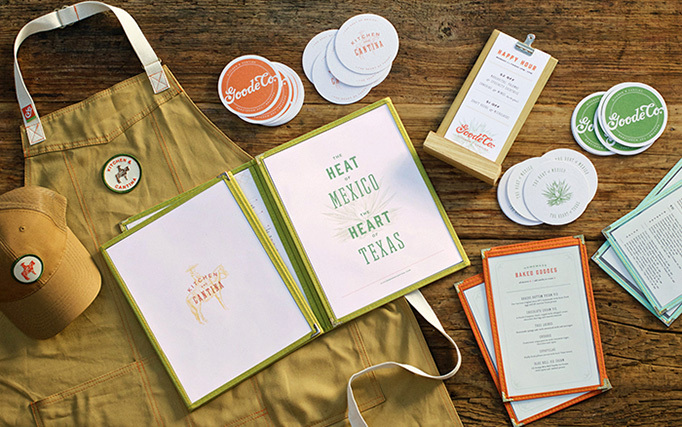 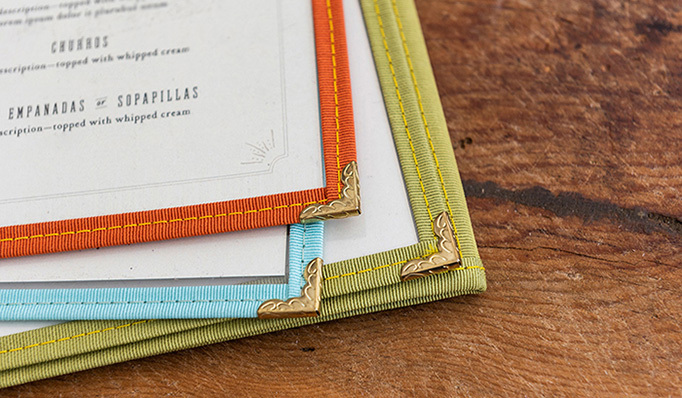 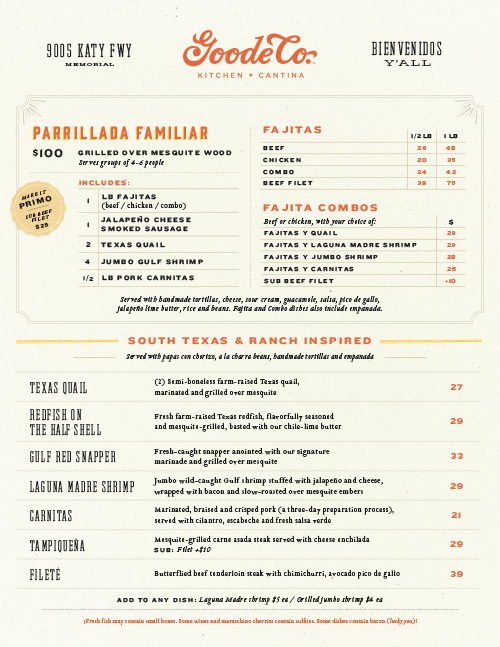 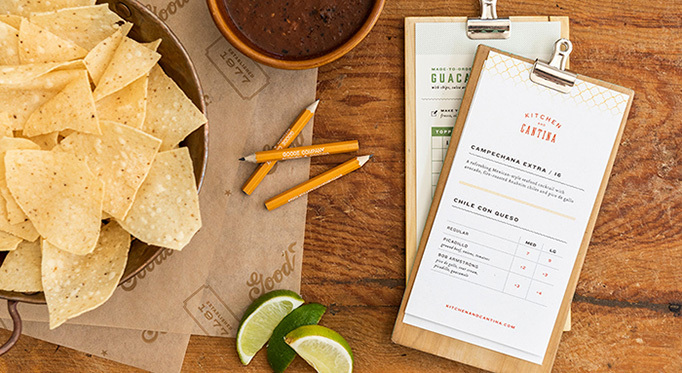 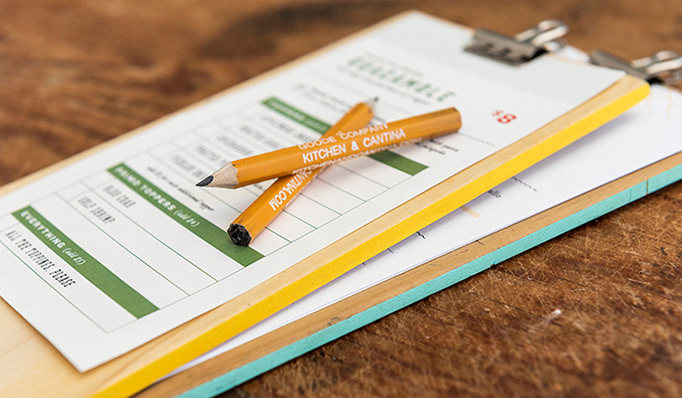 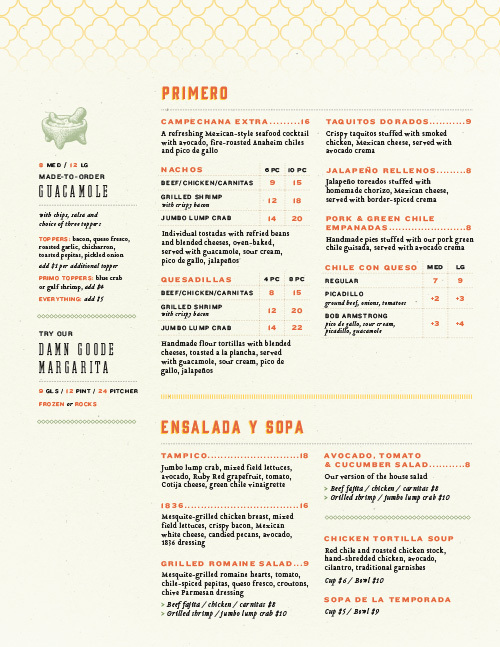 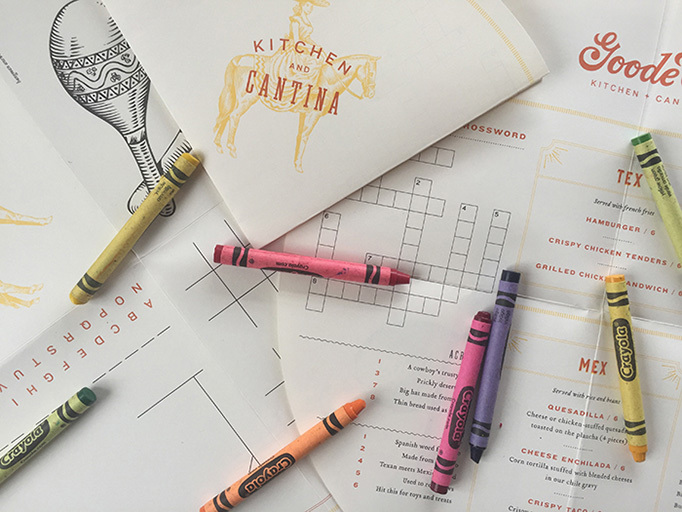 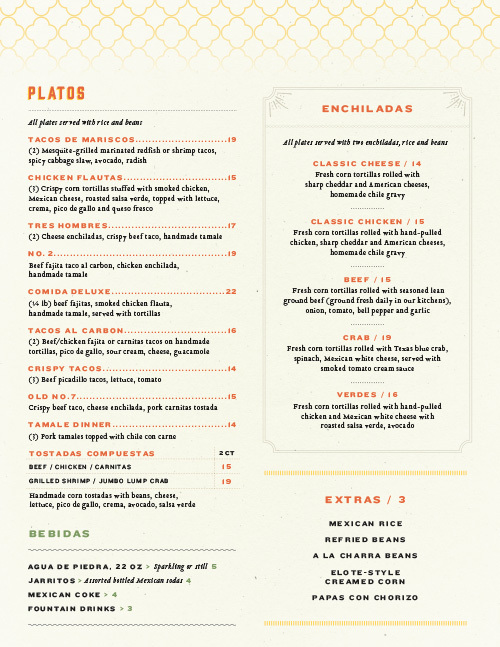 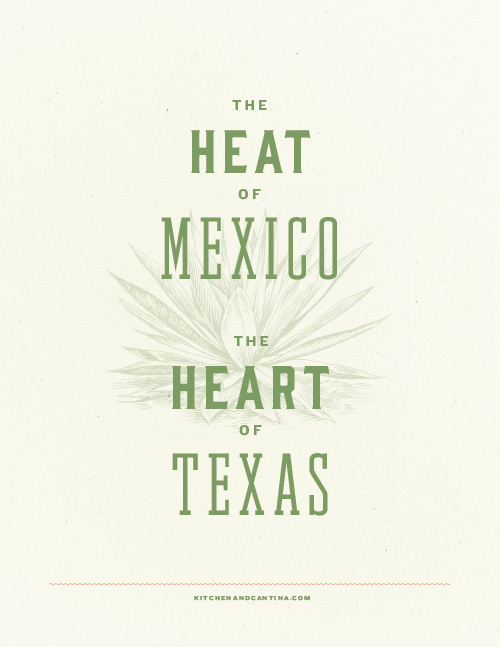 Presented in a traditional, folding, menu holder but upgraded with fancy cloth trim and golden corners, this menu stands out for its great use of typography, ornaments, and illustration that add up to a solid balance of playfulness and sophistication, and of Tex and Mex. 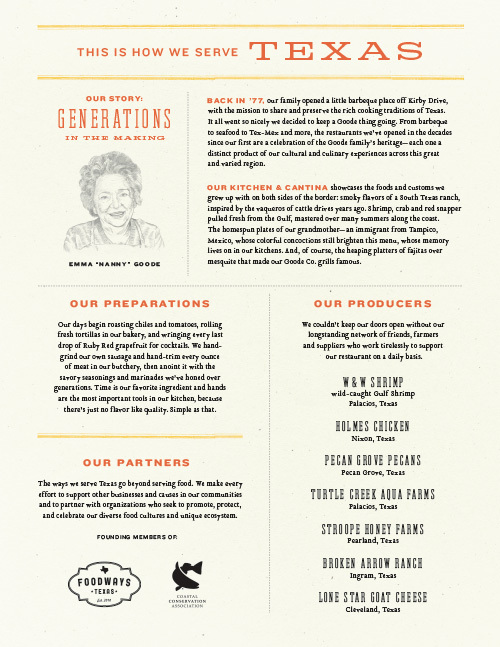 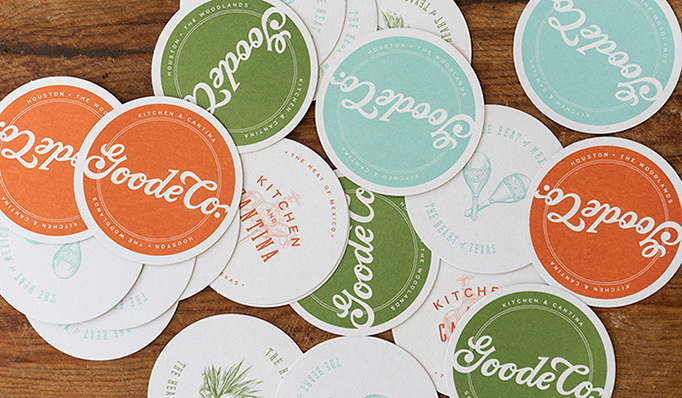 Visit Goode Co. 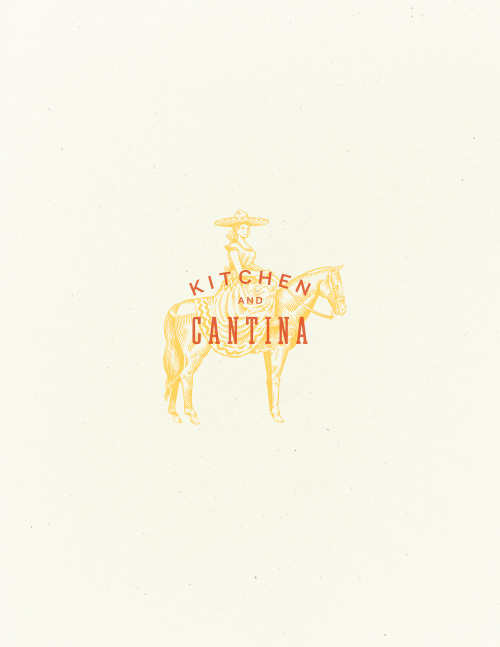 Kitchen & Cantina.